Posted by Derek Hughes on 29th November 2018. What a subject-its just frozen water isn’t it? When it comes to cocktails the ice you use is quite important. To make any good cocktail it is essential to have a good supply of fresh ice. You can obviously buy bagged ice from most supermarkets but avoid the hollow, tubular or wafer thin ice. Alternatively, you can fill ice cube trays with tap water, (good old fashioned way) this makes good square, ice cubes. Your ice should be dry and avoid ‘wet’ ice that has started to thaw. Also of course many new fridge freezers give you ice on tap. Most of my recipes use square, cubed ice, but some refer to ‘crushed ice’. 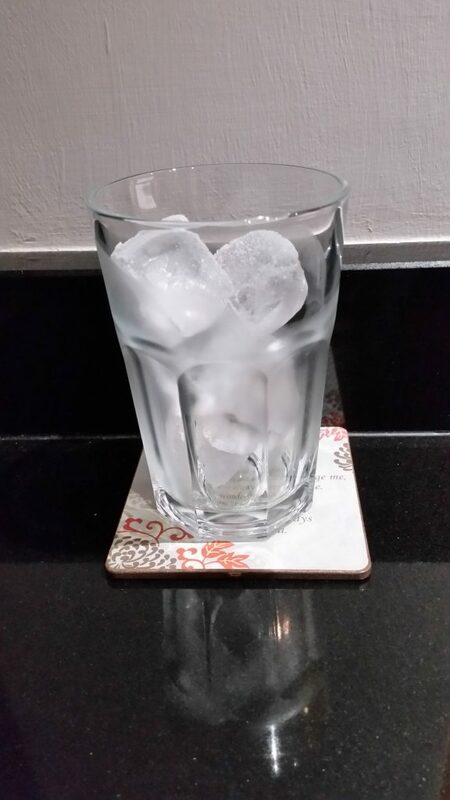 In most cocktail glasses, we put 4 or 5 ice cubes in per glass. You can also now buy crushed ice in some supermarkets or alternatively you can make your own crushed ice using an ice crusher machine or by simply hitting a plastic bag or tea towel of cubed ice, with a rolling pin- this is much more fun!! Some of my recipes also ask that you “pre-chill” the glass first, this will normally be using the cubed ice. Then once the cocktail has been shaken and ready to pour, the ice in the glass is then thrown away, you then have your chilled glass to pour your cocktail into, perfect on a summer day. Finally, never use ice in a cocktail shaker twice, even if it is to mix the same drink as last time. You should always throw away the ice after straining the drink in a cocktail shaker as well. Hope you have found the above information informative and useful. Are you going to any house Christmas parties serving cocktails? Please let us know what was on offer. Did you know that there are several different types of cocktails that have a Christmas theme? What is your favourite drink at this Winter time of year? Let’s Mix it Up! Derek and the Team. Gib Beverage glass with ice!